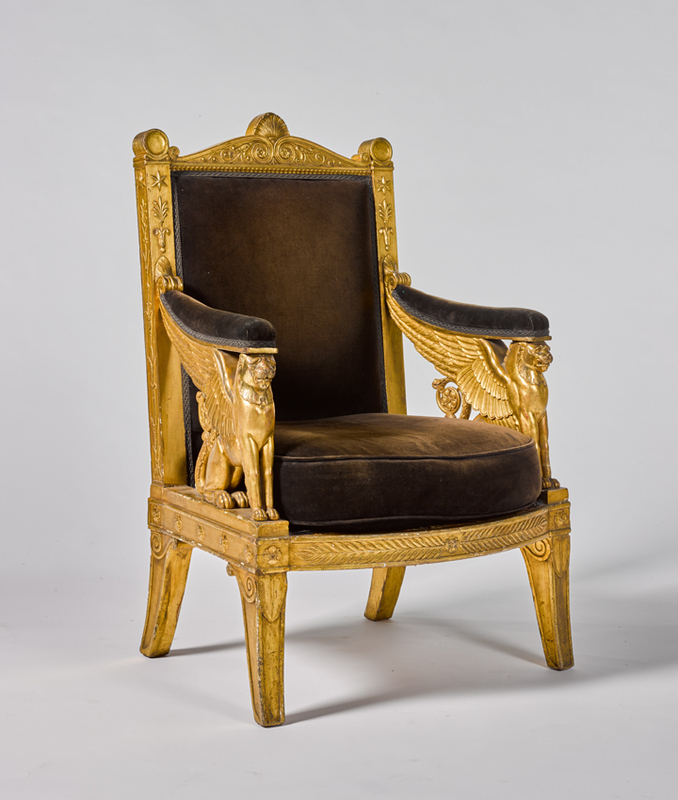 This month’s selection of luxury items going under the hammer includes a chair from Napoleon’s Throne Room at the Palais de Tuileries. It is estimated at £200,000-300,000 in Sotheby’s sale The Midas Touch on October 18. 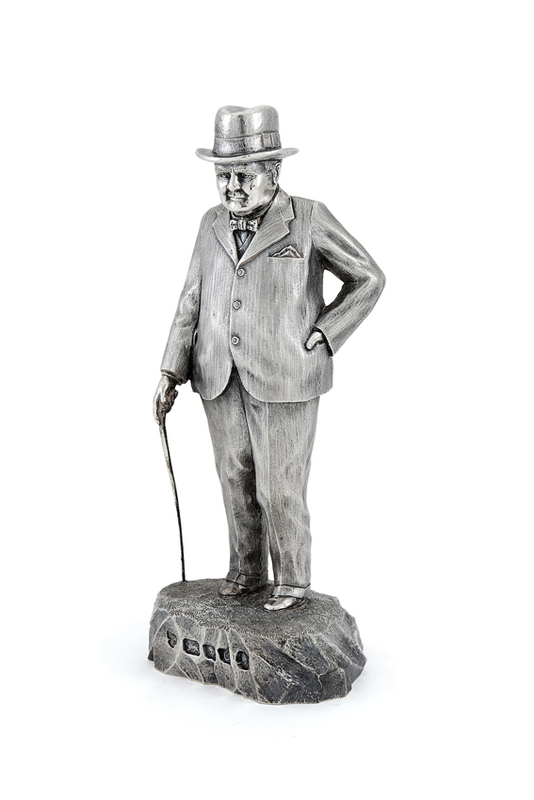 In its October 16 sale, The Pedestal offers this unique, 9½lb solid silver sculpture of Winston Churchill. Standing 10in (25.5cm) tall, it depicts the wartime prime minster modelled by Richard Price, a prize-winning exhibitor at Goldsmiths Hall. It was manufactured by Da-mar Silverware, London, in 1977 and was bought by the vendor’s father the following year from GH Presley & Sons. Estimated at £2000-3000, it shows the politician in a pinstripe suit and bow tie. It is believed to be based on an image of him standing on the hills of Dover looking out at occupied Europe during the Second World War. 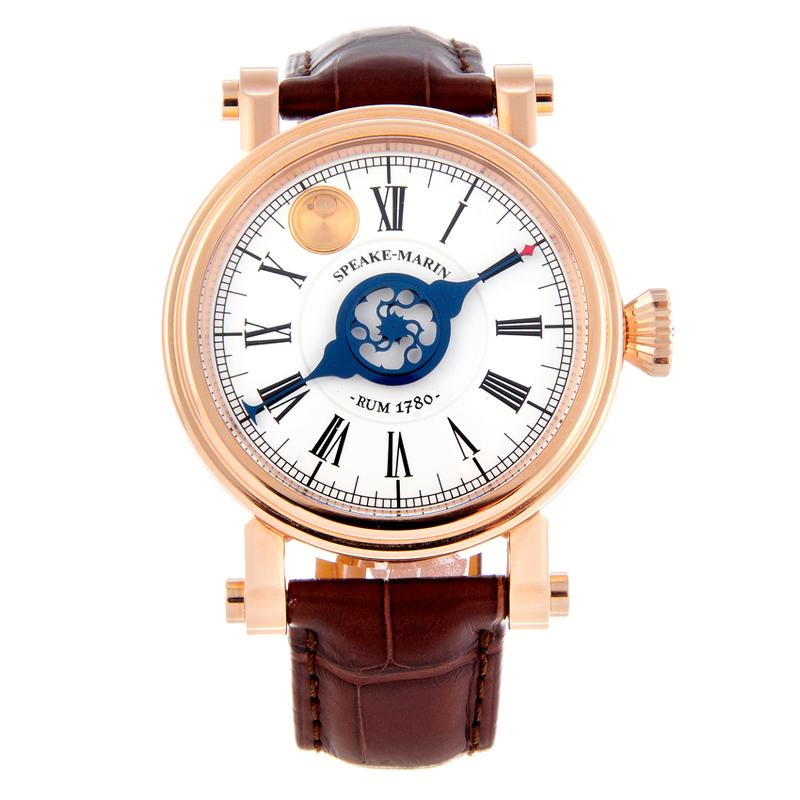 Fellows offers a gold watch containing the world’s oldest rum in its October 30 Watch Sale. The gentleman’s 18ct rose gold wrist watch is estimated at £10,000-15,000. On the 11-hour mark it contains a droplet of 1780 Harewood Rum. It has a white dial with Roman numeral hour markers as well as Stand Fast The Holy Ghost engraved. Made by Speake-Marin, it is the second such watch to go under the hammer at Fellows this year – the previous example reached a hammer total of £14,000 in July. Sotheby’s first auction dedicated entirely to gold includes a 1977 gold Ferrari, a bust of Kate Moss in solid 18-carat gold by Marc Quinn and a chair designed for Napoleon’s coronation. The ornate chair, estimated at £200,000-300,000, is a carved giltwood ceremonial fauteuil designed by Percier and Fontaine and was commissioned for Napoleon’s Throne Room at the Palais de Tuileries. It is only one of six chairs commissioned for the Throne Room thought to have survived from 1804. Titled The Midas Touch, the sale takes place on October 18. This bottle of Macallan 1952 highland malt scotch whisky is expected to be one of the top lots at Tennants October 13 sale of Fine Wine, Whisky & Cognac. It was bottled by Campbell Hope & King, distilled by Kemp Macallan-Glenlivet and is estimated at £3000-4000. Chiswick Auctions’ Affordable Luxury sale on October 24 includes designer handbags, vintage fashion and costume jewellery. This pair of Christian Louboutin red highness Tina Tassel Boots are estimated at £200-300. The feature three tiers of tassels and 16cm stiletto heels fit to adorn and size 38 (UK 5) foot.